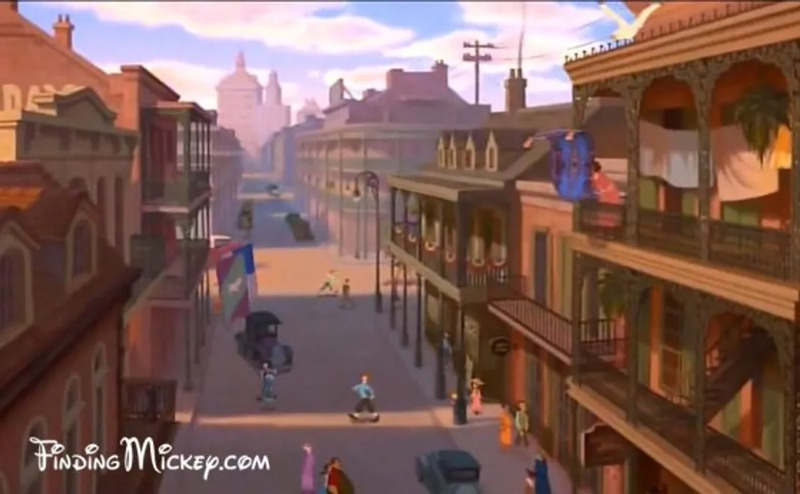 Aladdin's magic carpet is very clearly seen in the beginning of The Princess and the Frog. 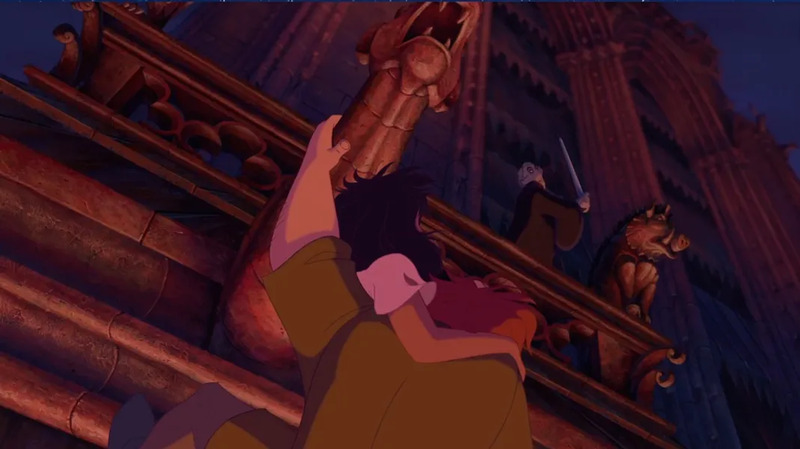 In The Hunchback of Notre Dame, that gargoyle is Pumbaa from The Lion King! 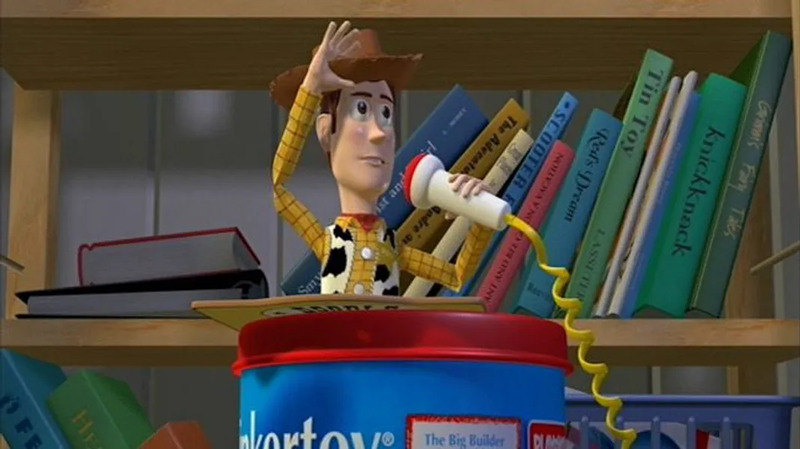 In Toy Story, the books behind Woody are each named after Pixar shorts: Knick Knack, Tin Toy, and Red's Dream. 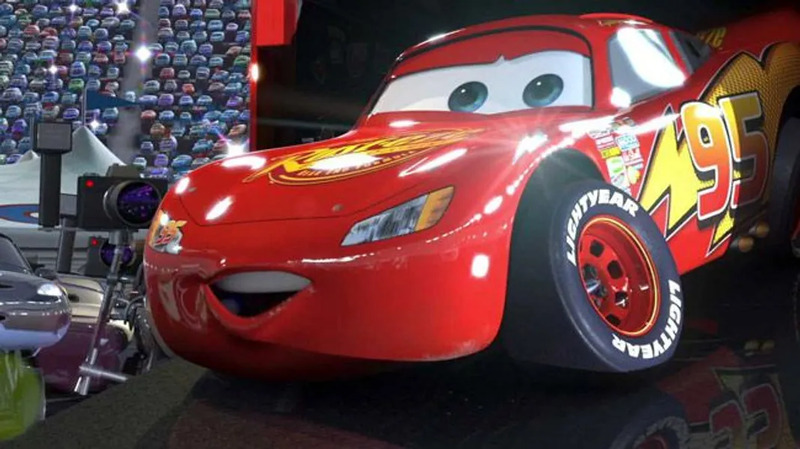 All of the cars in Cars have the same tires, which are pretty clearly a reference to everyone's favorite toy spaceman. 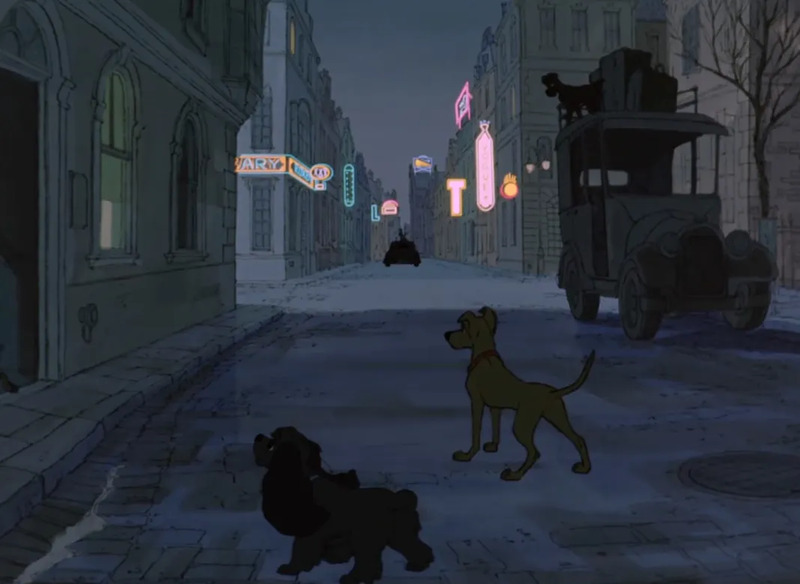 Lady and Tramp make a quick cameo during the Twilight Bark scene in 101 Dalmations. It only makes sense though, right? 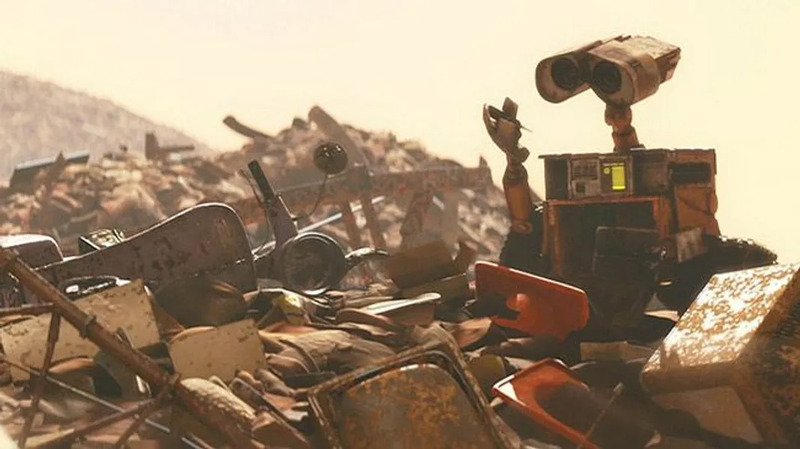 On one of WALL-E's journeys through a pile of trash, he spots the scooter that Chef Skinner rides throughout Ratatouille while chasing Remy. 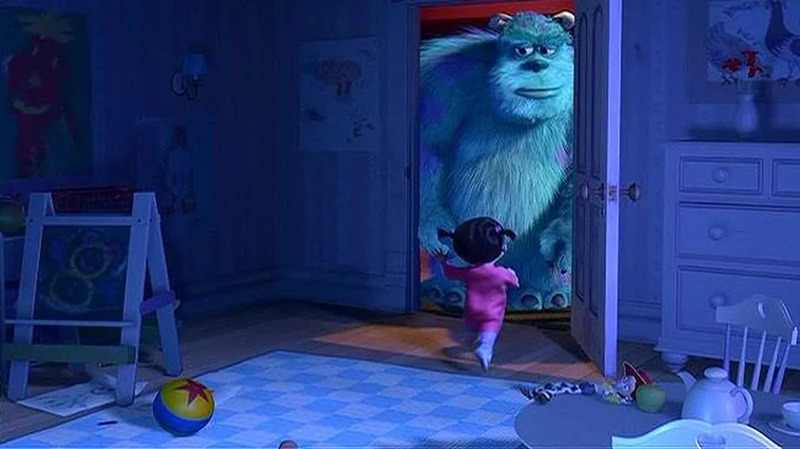 As a parting gift, Boo hands Sully a Luxo ball, a Finding Nemo stuffed toy, as well as a Jessie Doll from Toy Story 2. 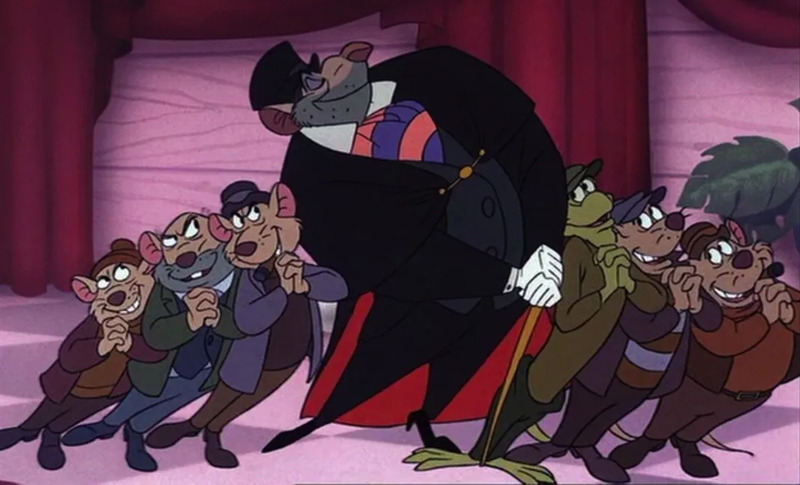 In The Great Mouse Detective, Bill the Lizard, from Alice in Wonderland is actually a part of Ratigan's gang. Who knew? 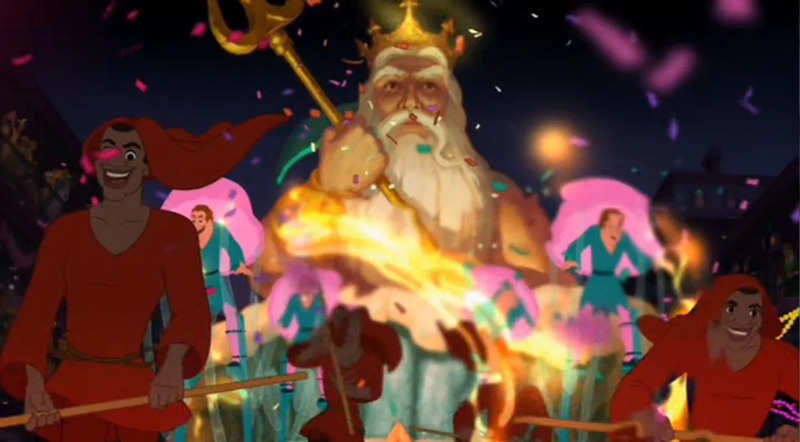 The Princess and the Frog's Mardi Gras float flaunts a face we've seen before -- isn't that King Triton? We thought so! 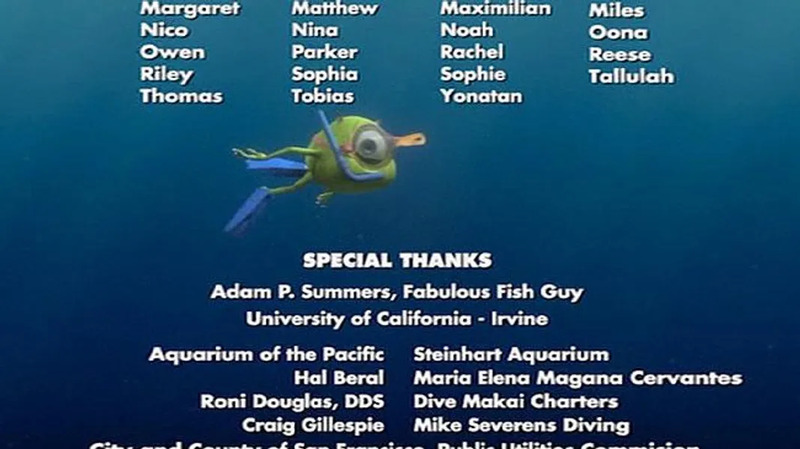 In the final credits of Finding Nemo, Mike Wazowski of Monsters, Inc. fame swims by with his snorkel gear. 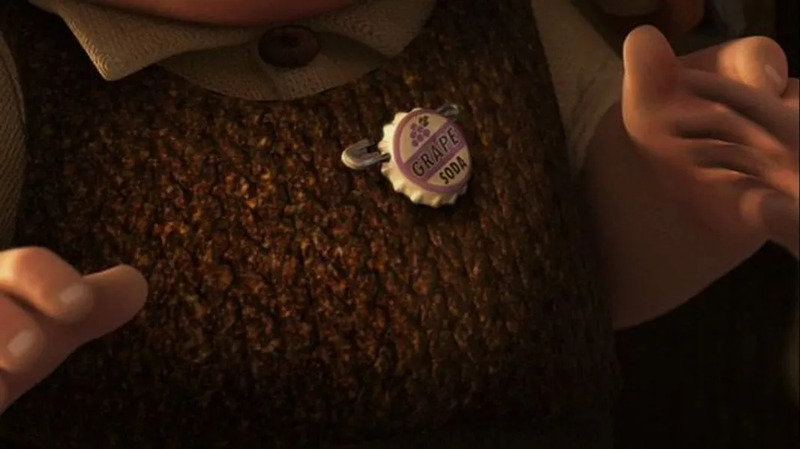 The bottle cap Ellie gives Carl in Up is the same soda brand as the one in Buzz Lightyear's Toy Story advertisement. 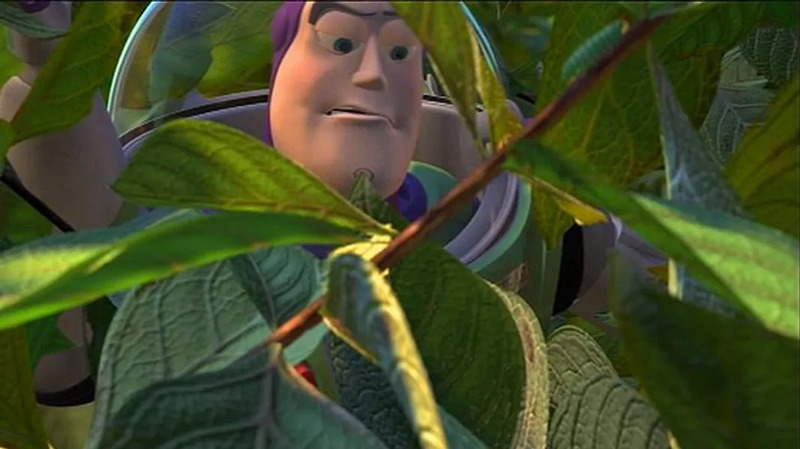 That caterpillar creeping up a branch in front of Buzz Lightyear in Toy Story 2 is none other than Heimlich from A Bug's Life. 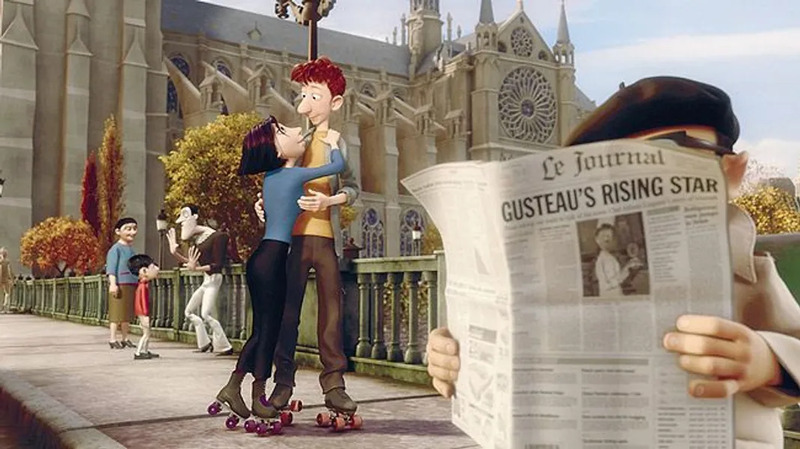 That mime in the background of Ratatouille is the villain from The Incredibles, Bomb Voyage. We wonder what made him decide to entertain children instead of trying to destroy the world. 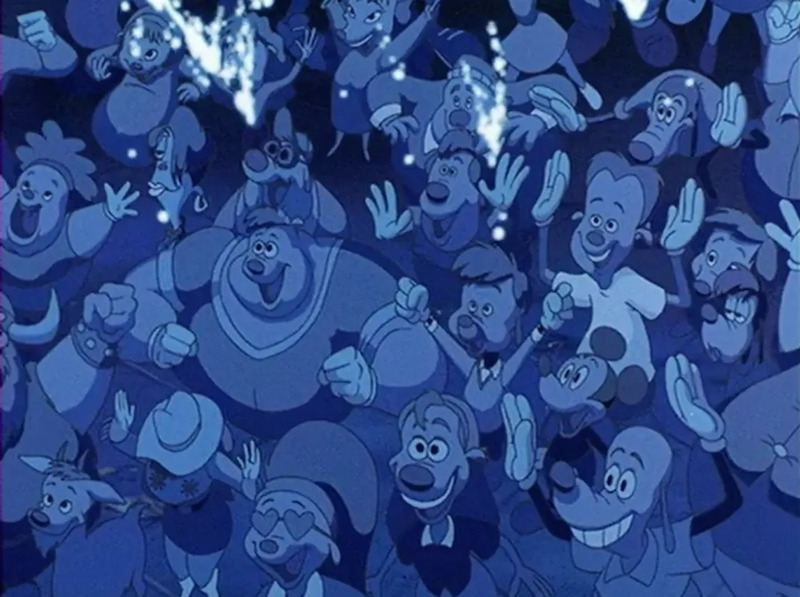 Look who's in the crowd at the Powerline concert in A Goofy Movie! 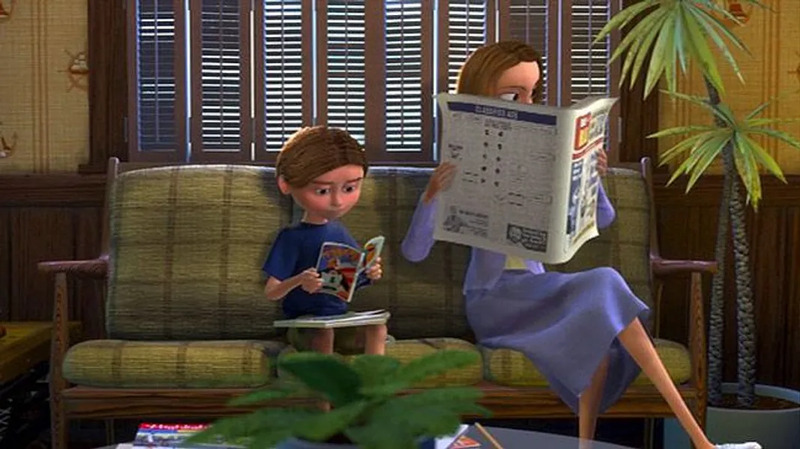 A little boy in the dentist's waiting room in Finding Nemo can clearly be seen reading a comic book featuring none other than Mr. Incredible. 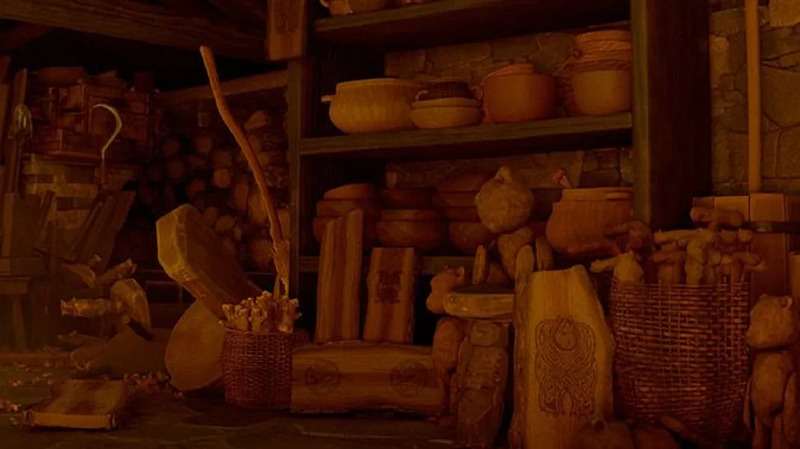 The witch in Brave clearly has a wood carving of Sully from Monsters, Inc.. We don't know why she has it, but we don't really care; it's just cool. 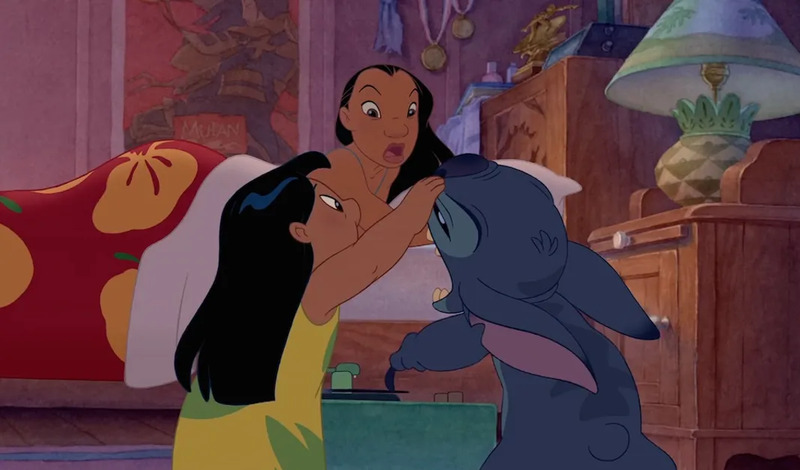 Toy Story character Andy and his wallpaper are extremely recognizable, which is how we spotted this Easter egg in Monster's, Inc..
Can you blame Lilo and Stitch's Nani for having a Mulan poster? 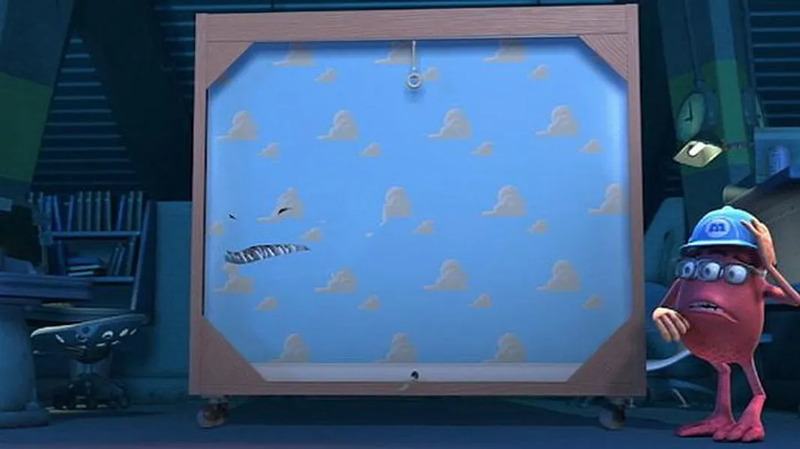 Honestly, who didn't have one next to their bed? What book is Mr. 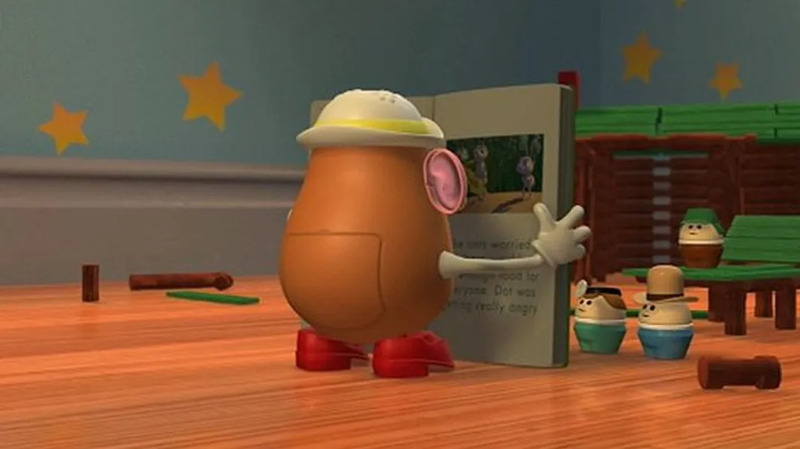 Potato Head reading in Toy Story 2? Just A Bug's Life, no big deal. 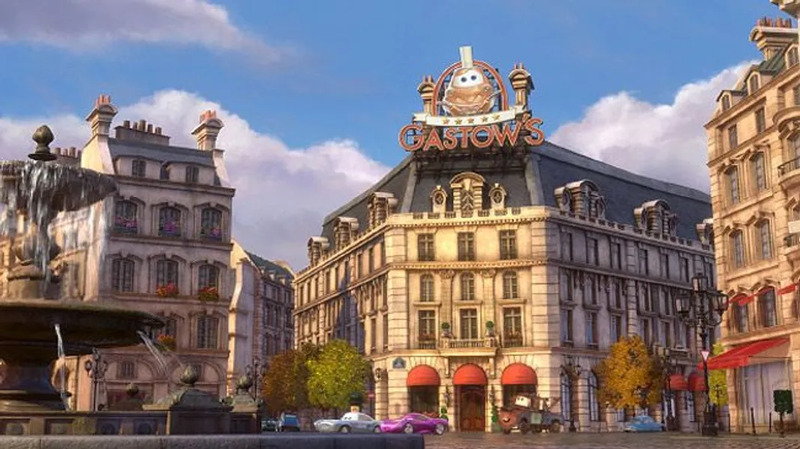 Ratatouille's Gusteau's Restaurant is reinvented in Cars 2. When in Paris, the familiar restaurant gets an auto-twist: Gastow's. 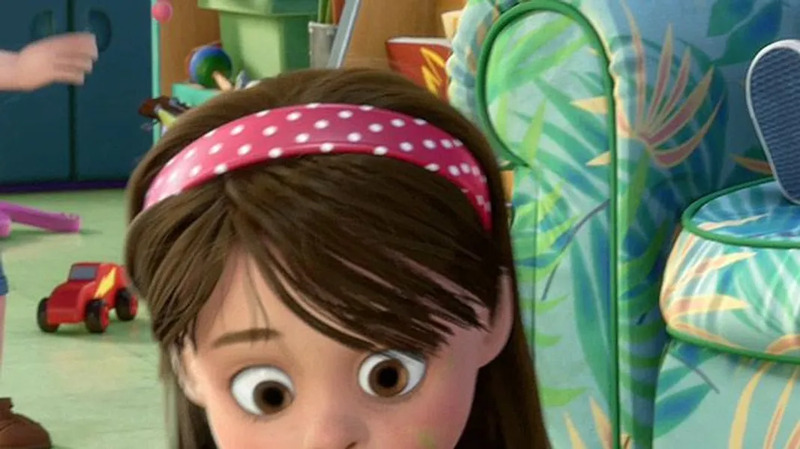 Toy Story 3's Sunnyside Daycare shows a brief glimpse of Cars' Lightning McQueen. 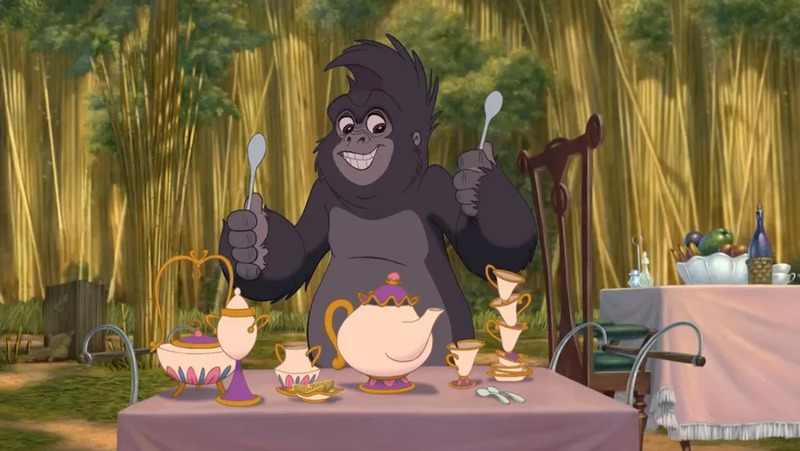 Either we've seen that teapot before, or Tarzan's Jane has such similar taste as Beast! The man from Frozen whom everyone hates, Hans, gets his comeuppance in Big Hero 6 when a statue of him is completely annihilated by Baymax. Take that, jerk! 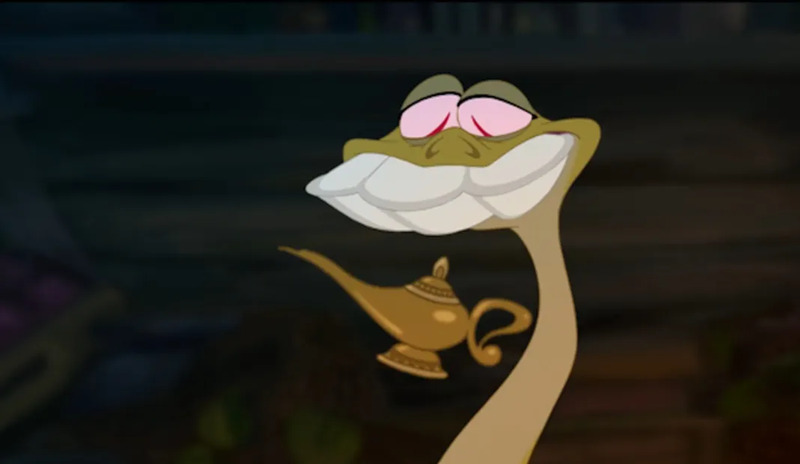 As she sings and throws various items around in The Princess and the Frog, Mama Odie finds something very familiar. 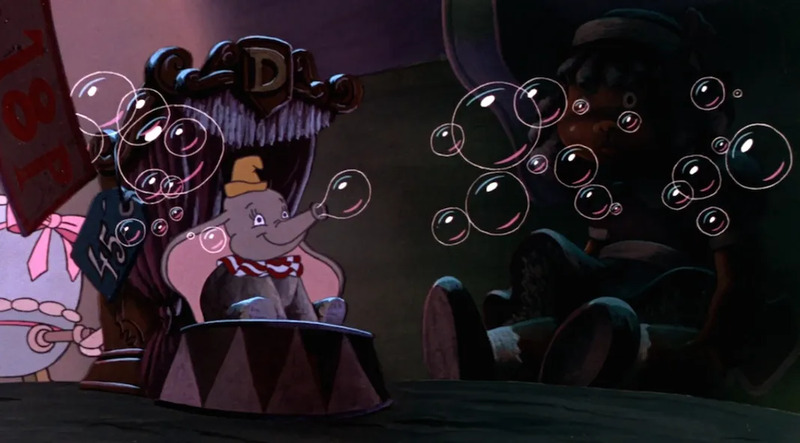 As if Dumbo wasn't cute enough as a flying elephant, The Great Mouse Detective shows him as some sort of bubble-producing toy. Where can we get one? 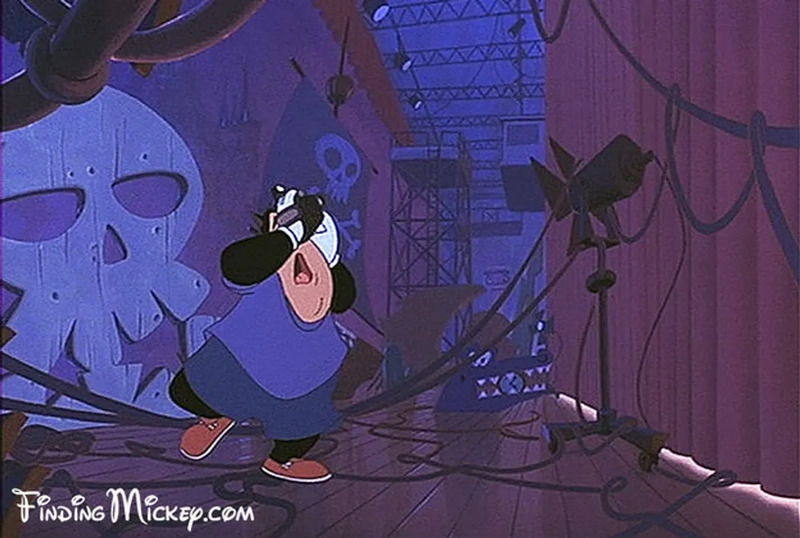 Peter Pan's famous crocodile is in the background in A Goofy Movie. Did you catch this one? 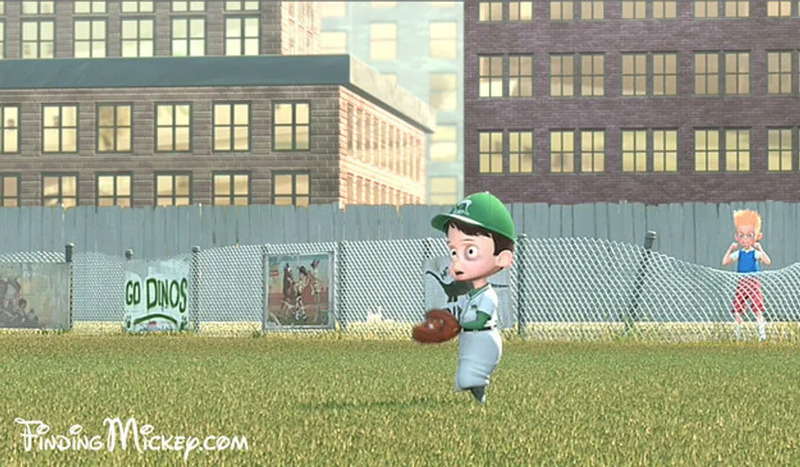 The background of the baseball field in Meet the Robinsons features two posters: one for Toy Story 2 and one for The Jungle Book. Well, sort of. 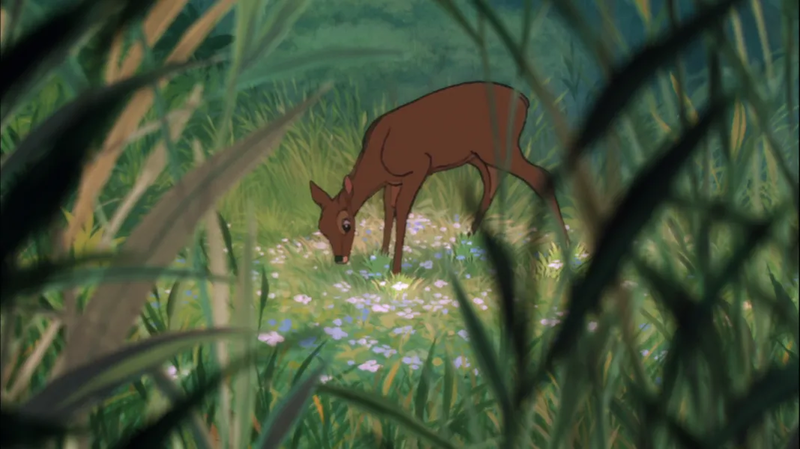 In The Jungle Book, Bambi's mother can be seen. She's stalked by Shere Khan, but luckily she gets away (at least, in this movie). 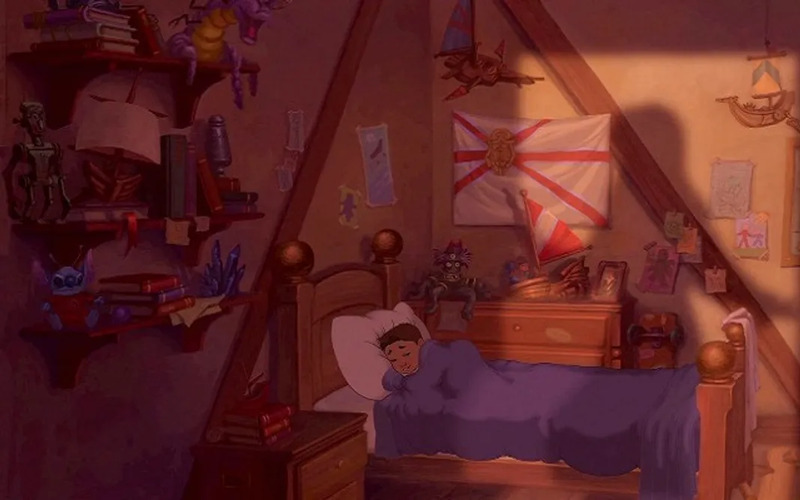 In Treasure Planet, a familiar looking face can be spotted on Jim's shelf. 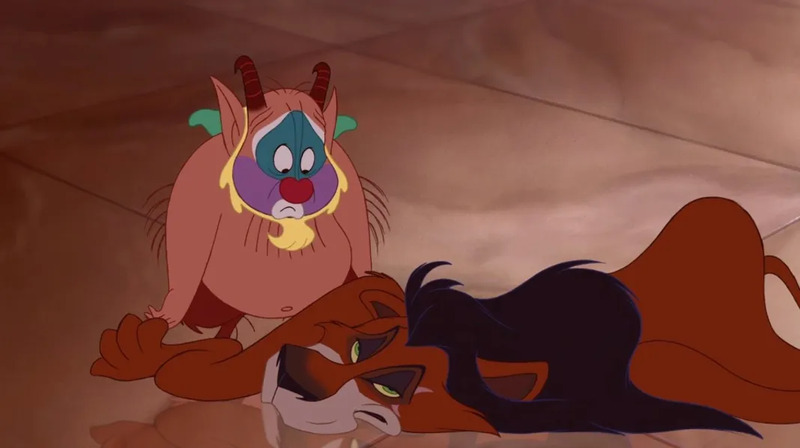 In Hercules, the world's most evil lion, Scar from The Lion King, is slain feline. Good riddance!